One of hockey’s longest standing rivalries will take it outside, literally, on January 1, when the Detroit Red Wings host the Toronto Maple Leafs in the 2014 Winter Classic at Michigan Stadium. They are two members of the Original Six (the others being Montreal, Chicago, New York Rangers and Boston), storied franchises with 24 Stanley Cups between them (13 for Toronto, 11 for Detroit). On New Year’s Day, the divisional rivals, will face-off at one of the most iconic sport stadiums in North America, taking to the ice at ‘The Big House’ at the University of Michigan for their highly anticipated matchup at the NHL’s annual outdoor celebration. The game will be broadcast live on NBC in the U.S. and on CBC and RDS in Canada. SiriusXM Radio will provide live radio coverage. For the players, several who played outdoors growing up, the game has been marked in their calendars for a long time. “The one thing I’m most excited about is that this will give you a lot of great memories and make you feel like a kid again,” Toronto goaltender Jonathan Bernier told NHLPA.com. Bernier spent countless hours enjoying outdoor hockey as a kid in Quebec. Veteran forward Daniel Cleary got the most of his backyard rink. “We had a great rink,” recalled the Newfoundland native, who was part of the Edmonton Oilers squad who played in the first NHL regular-season outdoors game, against the Montreal Canadiens at Commonwealth Stadium in 2003. “My dad installed floodlights and we’d spend hours and hours out there. My mom would call us in for dinner, but we’d be out there for at least a half an hour before we came in. 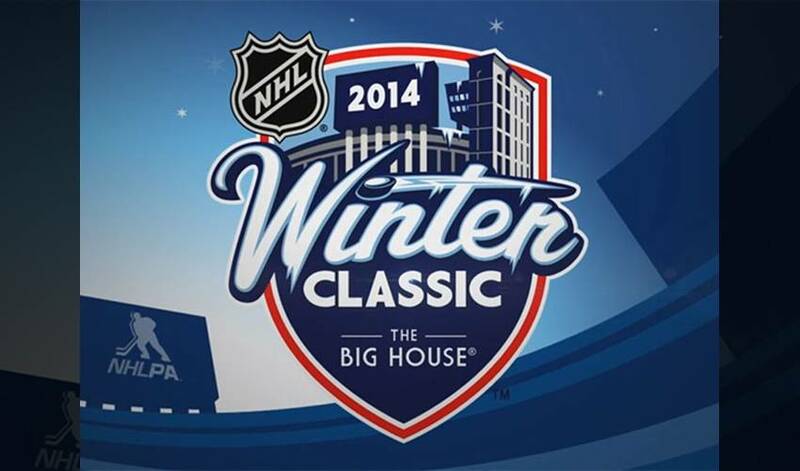 Cleary, Bernier and their respective teammates will make an old-time fashion statement come January 1. Both the Red Wings and Maple Leafs will wear ‘throwback’ jerseys for the contest, one that now sees the squads as divisional rivals after the realignment that took place prior to the start of the 2013-14 campaign. Heading into this season, all-time during the regular season, Detroit (275-273-93-3) has captured 646 points against Toronto, holding an advantage by the slimmest of margins over Toronto’s 645 (276-275-93-0) against Detroit. The 117 playoff games between the franchises is the second most in NHL history, trailing only the 170 games featuring Boston versus Montreal. Detroit bested Toronto 5-4 in a road shootout win on December 21. The first New Year’s Day outdoor game in the U.S. saw the Buffalo Sabres play host to the Pittsburgh Penguins at Ralph Wilson Stadium in 2008. One year later, the Chicago Blackhawks hosted the Red Wings at Wrigley Field. In 2010, the Boston Bruins hosted the Philadelphia Flyers at Fenway Park. In 2011, the Penguins took on the Washington Capitals at Heinz Field. In 2012, the Flyers played the Rangers at Citizens Bank Park. In February of 2011, the Calgary Flames hosted the Montreal Canadiens in the ‘Heritage Classic’ at McMahon Stadium.